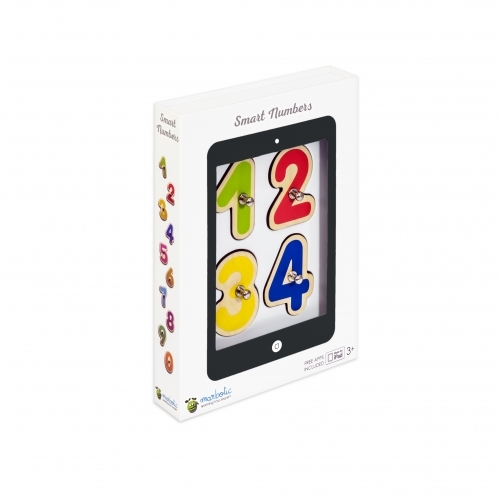 Marbotic Smart Numbers provides 10 traditional wooden numbers that connect and interact with an iPad to create a powerful learning experience. It comes with three free educational apps that deliver plenty of fun with technology while helping to build fundamental mathematical skills to support the UK curriculum. By allowing timeless wooden blocks to interact with your iPad, Marbotic elevates typically flat learning-based apps and creates dynamic, age appropriate, interactive, educational activities kids enjoy. Smart Numbers is inspired by the Montessori methods of teaching, rooted in the idea that education should equally nurture a child’s development physically, socially, emotionally, cognitively and spiritually.